The ripe fruit of the defoliation bush plants Lycium barbarum L. of family Eggplant. Ningxia Hui Autonomous Region, Inner Mongolia Autonomous Region and Gansu province in China. Collected the ripe fruit in summer and autumn. Light smell, sweet with slight sour. Large, red, thick pulp, sweet and few seeds. Nourish liver and kidney yin, supplement blood and essence, and improve vision. It is a key herb of blood tonifying and essence nourishing, because it can nourish kidney, supplement essence and nourish blood. For deficiency of blood and essence of liver and kidney, it is effective when applied singly, such as its alcoholic preparation which is named Gou Qi Jiu from Yin Shan Zheng Yao (Principles of Correct Diet); or it is combined with other blood and essence-nourishing herbs, for instance, it is used with Huang Jing in Er Jing Wan from Qi Xiao Liang Fang (Magic Effective Prescriptions). For soreness and limpness of lumbar and knees, and spermatorrhea due to deficiency of liver and kidney yang, it is combined with yin-nourishing and kidney-tonifying herbs. For instance, it is used with Tian Dong and Gan Di Huang in Gou Qi Wan from Gu Jin Lu Yan Fang (Ancient and Modern Effective Prescriptions). For soreness of lumbar, spermatorrhea, seminal emission, spontaneous sweating, night sweat, deafness blurred vision due to deficiency of kidney essence, it is combined with kidney-nourishing and essence-supplementing herbs. For instance, it is used with Shu Di Huang, Gui Jia Jiao and Shan Zhu Yu in Zuo Gui Wan from Jing Yue Quan Shu. 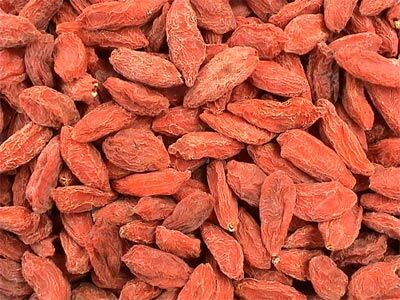 For insomnia, dream-disturbed sleep, and sallow complexion due to blood deficiency, it is combined with blood-nourishing and tranquilizing herbs, for instance, it is used with Long Yan Rou in Qi Yuan Gao from She Sheng Mi Pou. It can tonify liver and kidney, and is skilled in improving vision. It is a commonly used herb for blurred vision and short sight due to liver and kidney deficiency, it is combined with liver and kidney-tonifying and vision-improving herbs. For instance, it is used with Ju Hua, Shu Di Huang and Shan Zhu Yu in the formula Qi Ju Di Huang Wan from Yi Ji.